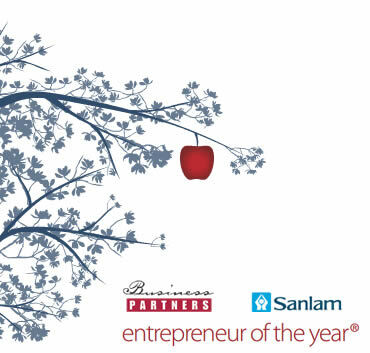 The Sanlam / Business Partners Entrepreneur of the Year® awards aims to honour, benefit, and uplift South African SMEs. The competition celebrates excellence in entrepreneurship, serving as an inspiration to others to succeed in the world of business. An entrepreneur who has been in their present business for a maximum of 5 years and with a turnover not exceeding R5 million on the date the entry form is received by the steering committee. An entrepreneur who runs a business, irrespective of length of time during which it has been active, with a turnover of between R5 million and R20 million in the tax year immediately preceding the date of entering the competition. An entrepreneur who runs a business, irrespective of the length of time during which it has been active, with a turnover of R20 million or more in the tax year immediately preceding the date of entering the competition. Controlling owner must be stated. An entrepreneur who not only employs a significant number of employees, but also plays a key role in uplifting, up-skilling and training them. They help towards making a dent in the unemployment rate of the community, area, province and country where the business is situated. An entrepreneur who has, over the years, shown fortitude and strength in the entrepreneurial arena, and developed a business that has size, longevity and profitability. Finds a way of drawing the best qualified and technical people in the industry and keeping them because of creating a special environment where employees can flourish. A category to acknowledge a business that may not yet be at the same level of the other entrepreneurs (in terms of size and turnover), but makes an impression on the judges due to aspects such as the business’s social impact, the entrepreneur’s attitude and positive entrepreneurial outlook. The overall winner is selected out of the emerging, small, or medium categories.